Back in 2007 I posted about some luggage lust. 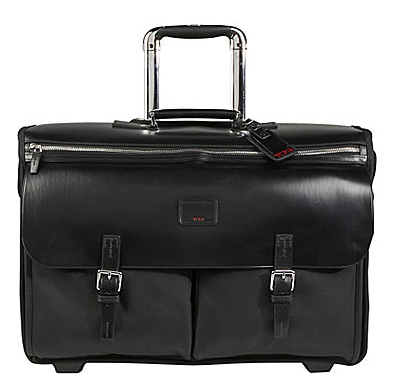 Specifically the Tumi Ducati carry-on bag I wanted to get (and ended up getting). In my 120,000 Delta miles of travel last year the Ducati has served me very well. 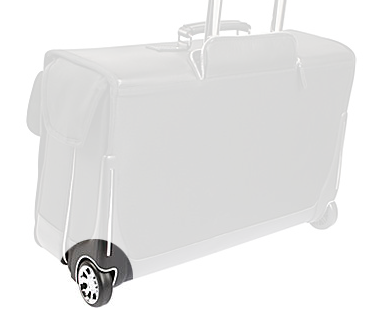 This year is shaping up to be another busy travel year, and I’m carrying more suit coats so a carry-on garment bag may be in order. 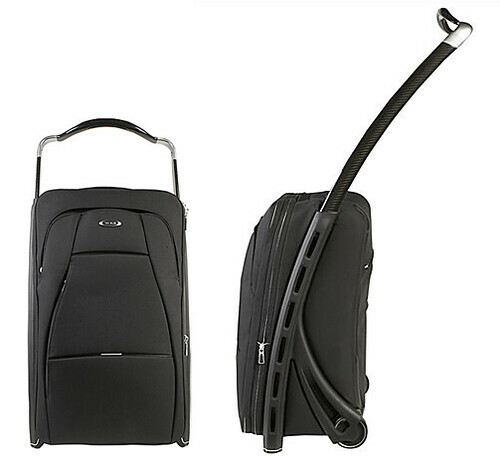 Looking at the Tumi site the Townhouse collection really caught my eye, nice clean, classic lines and since it’s Tumi it can handle the miles. I was sold, until I visited the store and saw it in person. What’s not really evident at first on the web site pictures is the ‘bling’ on the wheels. I’ve highlighted it in the photo below, but when you see the bag in person it’s so gaudy. Why ruin a nice bag with some cheap chrome? Perhaps it’s on to the next object of my luggage affection, the Theorem collection. Clean lines, carbon fiber…the stuff is just awesome looking. Josh, I am not all that happy with the Tumi brand. I’ve switched to Hartmann (http://www.hartmann.com/) Overall, I think it lasts longer and is better designed.